Flipgrid was created for a single class, (Charlie’s University of Minnesota PHD students, to be exact), but it didn't take long for educators to begin using Flipgrid to connect with classrooms around the world. A Kindergarten class in Iowa connected with Kindergarten students in Sudan. Three Norwegian educators connected their students with classes in South Dakota. A high school English teacher in New York connected his students with a middle school Science class in Ohio. Educators have made thousands of connections, using Flipgrid to increase social learning, global empathy, and cultural understanding. They inspired us to create CoPilots so you can collaboratively manage your Grids and Topics with a fellow educator. In the beginning, educators had to leverage their PLN to find connections. 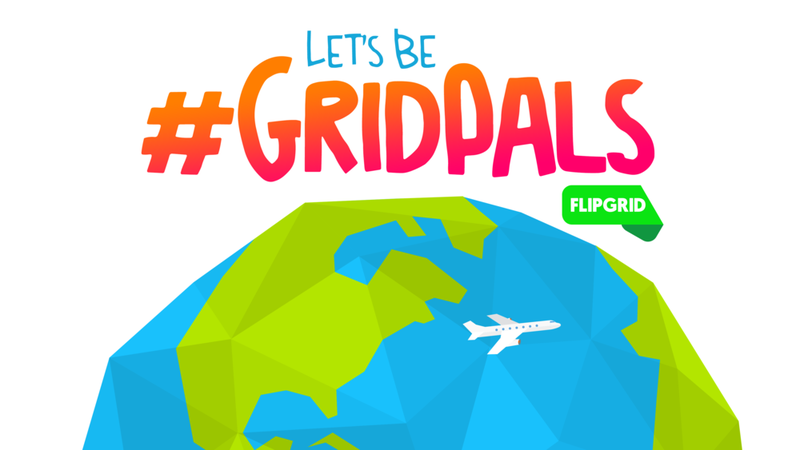 Then Bonnie McClelland stepped up, created the world's nicest signup form, and started the #GridPals movement. Now, joining the party is easier than ever. Once you're set up, download Bonnie McClelland's Adventure Passport. It contains everything you need to know to make your #GridPals experience a success! Have fun!